The Civil Aviation Authority of Zimbabwe (CAAZ) has given Fly Africa 90 days to sort out its operating status or risk revocation of their licence, documents at hand suggest. The airline which grounded its fleet last week has 90 days to facilitate recertification and return to the skies. According to the documents, CAAZ has approved Gift Chigorimbo as the accountable manager for the airline - a process that leads to its recertification and possible return to the skies. "The authority would like to inform you of the successful outcome of the interview and hereby approves you as the substantive FlyAfrica accountable manager with immediate effect," read a letter from the authority to Chigorimbo dated June 20, 2018. Initially, CAAZ had suspended FlyAfrica's operating licence due to its status and how it leased its aircrafts - Wet Lease Arrangement as they wanted it to have a Dry Lease Arrangement - which is cheaper. Documents at hand suggest that within 90 days the airline should sort out its lease of aircraft situation for reliability purposes, as well as improve its financial position before the re-certification exercise. A wet lease arrangement allows the aircraft to hire a plane with cabin crew while a dry lease deal allows the airline to lease an aircraft without the crew and is considered variable for mist start-up business entities. Fly Africa, which has been saddled with legacy debts inherited from the previous owner, should take ownership of aircrafts which were based in South Africa after the courts allowed the new owner—Nu Aero (Private) Limited—to take over all assets that belonged to the previous owner—including liabilities. As part of the conditions set, the airline should show its financial ability to operate as well as meet safety requirements before it returns to the skies. Since August 2014, the airline has been flying between Harare and Victoria Falls and it had announced another route to South Africa. In 2015, it temporally suspended its operating licence due to shareholder squabbles before a settlement was reached in 2016 paving way for resumption of the flights. 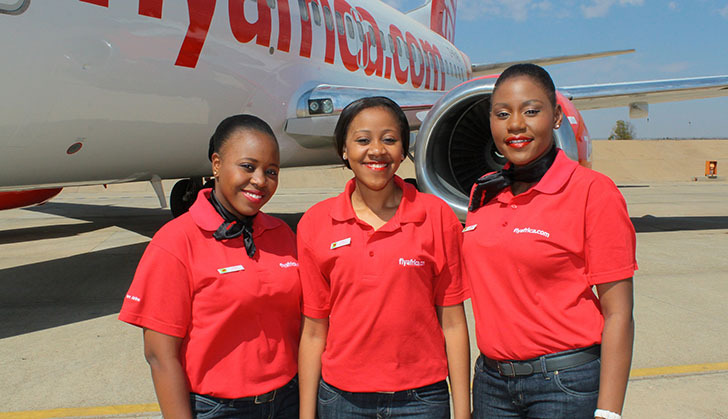 FlyAfrica chairperson, Cassidy Mugwagwa said they would meet all requirements to resume business within the stipulated time-frame. "We are on course to return to the skies. We shall come back soon," Mugwagwa said.